Examination of the mouth may reveal conditions common in poorly controlled diabetes. Diabetes has long been considered an important factor that influences the risk of periodontal diseases (gingivitis and periodontitis). Compared to non-diabetics, the prevalence and severity of periodontal diseases are increased in individuals with both type 1 and type 2 forms of diabetes. Individuals with diabetes are up to 3 times more likely to have gum attachment loss and bone loss than non-diabetics. For diabetics older than age 40, severity of periodontal disease increases with years of disease duration and the risk of losing all your teeth is 15 times greater in diabetic population then the non-diabetic. Prevalence of periodontal disease depends on the diabetic’s blood glucose control. Individuals who maintain good control have less gum attachment and bone loss than those with poor control, and they respond well to therapy. The presence of hyperglycemia contributes to enhanced periodontal inflammation and jaw bone loss in diabetes. Hyperglycemia progressively binds body proteins, forming advanced glycation end products (AGE) which stimulates inflammatory tissue destruction by inflammatory cells and producing oxygen-free radicals, which directly damage the tissues. Control of periodontal infection in individuals with diabetes reduces the level of AGE n the blood. A two-way relationship exists between periodontal disease and diabetes. Periodontal disease appears to complicate diabetes by making control of blood glucose levels more difficult. Diabetic individuals who have weak immune systems are more likely to acquire bacterial infection associated with periodontal disease. On the other hand, periodontal disease can influence the course of DM. 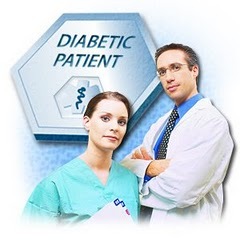 The diabetic’s need for insulin can be reduced once the individual successfully treated for periodontal disease. 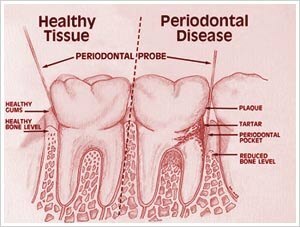 Thus control of periodontal infection is critical for maintaining long-term control of diabetes. Uncontrolled diabetes increases tooth decay risk as a result of reduced saliva secretion and increased glucose content of saliva. Other oral complications associated with diabetes may affect nutrition by causing the person to select foods that are easy to chew but not nutritional. eat more starches such as bread, cereal and starchy vegetables. have 5 portions of fruits and vegetables every day. Soluble fibers, found mainly in fruits, vegetables and some seeds, are especially useful by helping to slow down or reduce intestinal absorption of glucose. Legumes, such as cooked kidney beans, are among the highest soluble fiber foods. Other fiber-containing foods, such as carrots, also have a positive leveling effect on blood sugar. what are the oral conditions and adaptations in a pregnant patient? @nosikhumbuzo Gestational diabetes is diabetes that happens for the first time when a woman is pregnant. Gestational diabetes goes away when you have your baby, but it does increase your risk for having diabetes later. If you already have diabetes before you get pregnant, you need to monitor and control your blood sugar levels. Either type of diabetes during pregnancy raises the risk of problems for the baby and the mother. 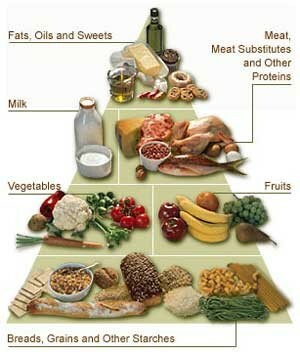 To help reduce these risks, you should follow your meal plan, exercise, test your blood sugar and take your medicine.